Watercolour, chalk and ink on paper mounted on cardboard. 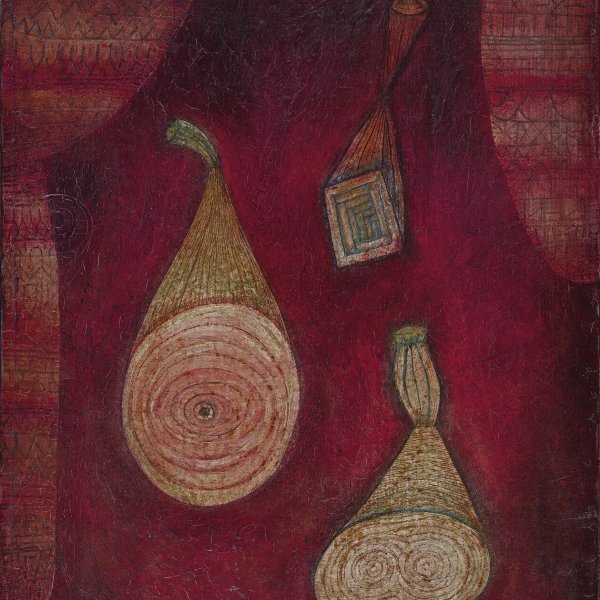 Paul Klee cut up many of his works into pieces, which he reused, inverted or joined to others, immediately converting them into completely new compositions. 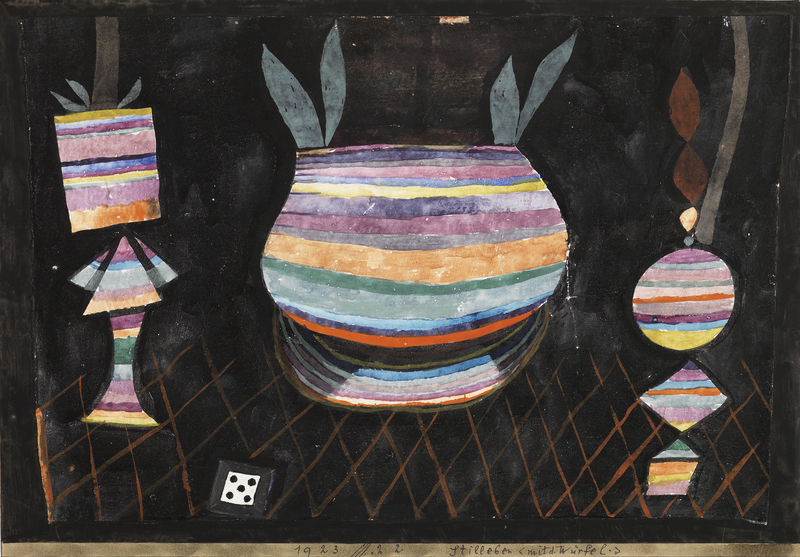 Still Life with Dice is a good example of this manipulation, as it is a fragment of Puppet Theatre, a large vertical watercolour. The composition which, as its name indicates, is an abstracted still life, attests to the painter’s interest in the theories of colour and its gradations and in establishing equivalences between colour ranges and musical notes, influenced by the writings of Goethe, Runge and Delacroix. Klee had discovered colour in 1914 during his revealing trip to Tunisia with his friend August Macke. Both artists had been connected with Der Blaue Reiter and had gone through a phase of admiring Kandinsky. They were also both friends of Delaunay, who had aroused their interest in the laws and possibilities of colour. Nevertheless, whereas Macke had always been a great colourist, Klee had not. He hailed from the world of graphic illustration and the colour he discovered during his African trip provided his art with the essential ingredient it lacked.